While there’s much to be mindful of in the digital ad landscape, turns out keeping the brand safe online falls behind viewability, ad fraud and ad-blocking on the priority list. At least, that’s according to a brand new study from the Audited Media Association of Australia (AMAA), 10 Insights on Trust in the Media Industry. When asking both marketers and media agencies what they deemed most important for focusing on in the coming year, brand safety was at the bottom rung of the ladder. Its position was due to many marketers already addressing the issues and putting practices in place to keep their ads off raunchy sites with explicit material. Still, that’s not to say it’s a done and dusted solved problem. A recent study from ad consultancy company Integral Ad Science says there’s more chance in Australia of a brand’s ad pinging onto a risqué site than elsewhere in the world. It’s not the most flattering statistic, however it is slowing receding according to the report. Still, while brand safety was agreed by marketers and agencies to be of low priority, marketers believed proof of performance metrics was most important to look at. 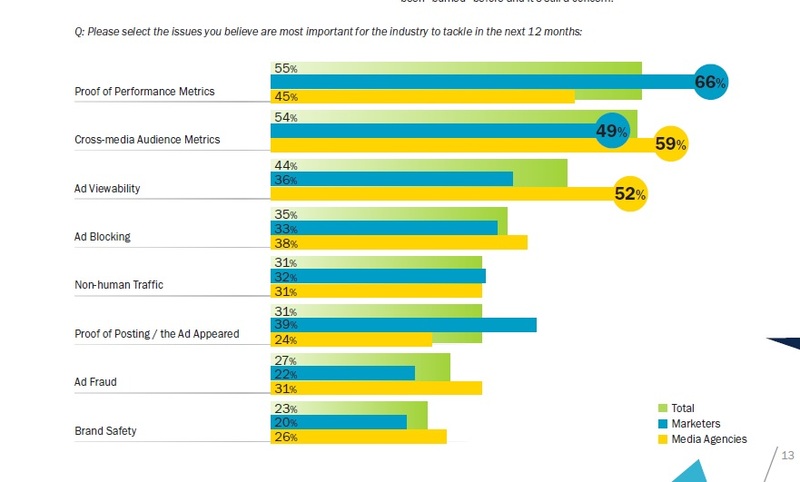 In contrast, media agencies thought cross-media metrics and ad viewability were most critical. Marketers placing a high emphasis on proof of performance had the AMAA suggesting media agencies that help marketers understand these figures “are providing a valuable service”. “We’re already seeing this happen as the larger media agencies expand their data scientist teams specialising in econometric and marketing attribution modelling,” the report said. 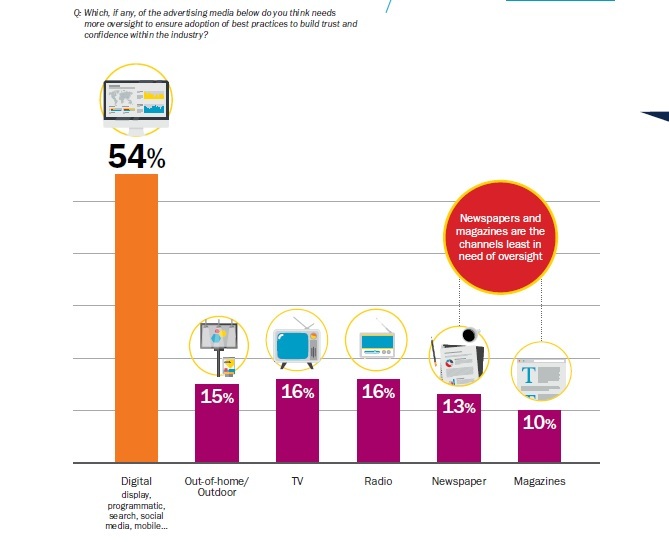 On top of that, digital is the media channel that needs more management and oversight when it comes to best practice. Given that media agencies don’t really trust programmatic or mobile, 72 per cent of media agencies and marketers agree the digital trading landscape is not as transparent, accountable and trustworthy as it should be. On the flip side though, marketers and agencies seem to be pretty trusting of the traditional media when it comes to best practice.